This lotion bar is packed full of skin-nourishing ingredients. Will not leave a greasy feel to the skin. Perfect size for any bag! To a heat safe pan, add beeswax and coconut oil. If coconut oil is solid in the bottle, place bottle in hot water until it becomes a liquid. Heat wax/oil over low heat until wax is completely melted. Add 1 Tablespoon of Goat Milk Powder and whisk in until powder has dissolved. If necessary, place pan back on heat source to completely dissolve the powder. Add Hemp Butter and stir until it has melted. Add Hemp Seed Oil, Jojoba Oil, Vitamin E and the fragrance oil. Stir until well blended. Once the liquid is below 150°F, it can be poured into the plastic mold. Set aside to harden. Can also be placed into freezer to harden. Once removed from mold, let completely harden for about 24 hours before cutting into rectangles. Bars will be too soft if cut sooner. Place one rectangle in a 4 oz. shallow tin and label as desired. To Use: Rub lotion bar over skin as needed. WARNING: Do not leave in hot car or purse during summer months. 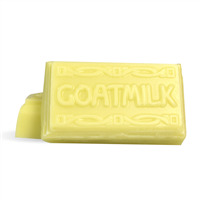 Ingredient Label: Beeswax, Coconut Oil, Hemp Seed Oil, Hemp Seed Butter, Jojoba Seed Oil, Goat Milk, Fragrance, Vitamin E.
"The kit includes the mold for rectangular goat milk bars but the kit contains smaller round tins. Do you have tins that will fit the rectangular bars?" Staff Answer The 4 oz. round tins do fit the rectangle lotion bars. The tins measure 3" wide and the lotion bars measure 2.5" in length. "The finished bars are rectangular in shape but the tins appear to be round. Is this correct?" Staff Answer Yes, this is correct. The bars measure 2.5" long and the tins are 3" wide. "What could I substitute for the Jojoba oil? " Staff Answer We chose this oil because it is a drier oil and does not make the product too greasy. You may want to look for a drier oil as a replacement, but any oil can be used in place of the jojoba. "If I use all natural fragrance- (essential oils) --can this be all natural? " Staff Answer Yes. All of the other ingredients listed for this product are 'All Natural' so you would be able to label the product as such. "Can the yellow pastilles beeswax be substituted for anything else? Thank you, Lynda"
Staff Answer It can be substituted for our Beeswax - White Ultra Refined Low Odor. "Can I substitute coconut milk powder and, if so, do I use the same amount?" Staff Answer Yes, you can substitute powders. It should be the same amount, however you should test this to determine the desired result. "I followed the recipe except substituted shea better for the hemp butter but it came out gritty. I couldn't get the goat milk to dissolve. Do you have any suggestions? 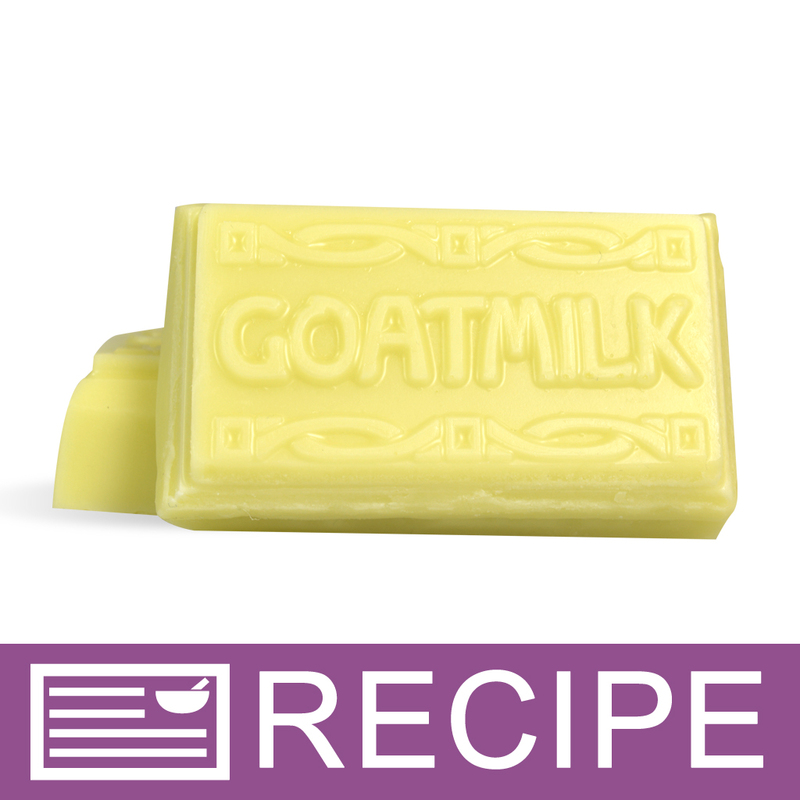 Thanks, Nichole Croteau Baker"
Staff Answer The wax tends to cool rather quickly which can prevent the goat milk from dissolving completely. That is why the directions for this recipe do say: If necessary, place pan back on heat source to completely dissolve the powder. (Step 4). Shea Butter will feel grainy when it is melted and rehardens. To avoid the gritty texture, heat the shea butter to 170-185°F and keep at a steady temperature for 10-15 minutes. Rapidly cool by placing the butter in refrigerator. "Can I pour this into a tube rather than make it a bar? " Staff Answer Yes, you are able to put this recipe into a lotion bar tube instead of the bar. Make sure to test the product before hand, as far as the pour temperatures. "Is there a substitution amount if I wanted to use fresh goats milk vs the goat milk powder?" 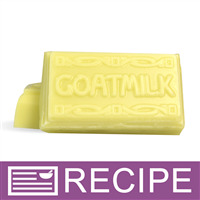 Staff Answer We do not have a recommended substitution amount for fresh goat milk in this recipe. Substituting a liquid for a powder will alter the texture of the finished product and will require the addition if a preservative. This will require testing on your part and you will need to adjust your ingredient label to reflect any changes made. "Could I take out the hemp seed oil and butter and still be able to make this recipe?" Staff Answer We have not tested this recipe without the Hemp Seed Butter and Oil. Removing the Hemp Seed Butter and Oil completely will likely affect the final product. Any alterations to this recipe will have to be tested to determine if the results are to your liking or not. "following this recipe to the T, what is the expected shelf life ?"